Bank of America Merrill Lynch is one of the world’s largest financial institutions, providing a full range of banking, investing, asset management and other financial products and services. It is a leading global bank and wealth management franchise and a premier corporate and investment banking and capital market business, providing innovative services in M&A, equity and debt capital raising, lending, trading, risk management, research, and liquidity and payments management. Clients and customers can expect access to a comprehensive suite of world class products, services, and expertise from an organization that serves clients through operations in more than 40 countries and has treasury relationships with 94 percent of the U.S. Fortune 1,000 companies and 79 percent of the Fortune Global 500. 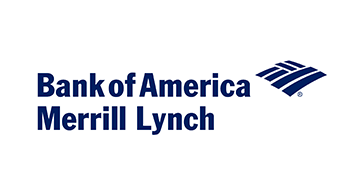 For additional information regarding Bank of America Merrill Lynch, please see www.baml.com.